Thank you to Depend for sponsoring today’s post about the #dropyourpants for #underwareness movement. All opinions and dropped pants are 100% my own. Have you seen the Depend T.V. commercial where normal, everyday people like you and me are walking down the street just getting from point A to point B. At first you don’t know why the onlookers are staring. Everybody looks normal enough. Then the camera pans out and we see that nobody is wearing pants! They are all proudly walking down the street in Depend products to prove a point. That point is that everybody at some point, no matter their age may experience bladder leakage and it’s nothing to be ashamed of. The first time I saw that commercial I thought, I could never be that brave! I couldn’t just show myself like that. Then I learned that the commercial is part of a greater social movement for a charitable cause, so I did it! And it was all in good, clean fun for such a good cause! You should #dropyourpants and join the #underwareness movement too. Depend will donate $1, up to $3 million, over the next three years to charities that advance the research, education and awareness of bladder leakage for every photo or video uploaded and shared online with the hashtags #dropyourpants and #underwareness. I’ll be honest here and tell you right up front that I have never used a Depend product, but I’ve purchased them several times for a senior member of my family. She relies on them daily now and actually started needing them a bit here and there as she says in her late forties. Recently she fell and could no longer do her own shopping and I can remember the pained look on her face when she had to ask us to buy her Depend products for her bladder leakage issue. I felt so bad for her in that moment, not because she has bladder leakage, but because of her embarrassment at having to admit it to us. I told her there was no call to feel this way, we were family and we would treat these bladder leakage protection products as we would any other personal hygiene need and be as discreet as possible. Speaking of discreet, that is exactly why she prefers Depend® Silhouette® Briefs for Women. They allow her to get dressed for her day confidently, knowing that her Depend briefs look and feel like real underwear, they give her a level of protection she can trust. 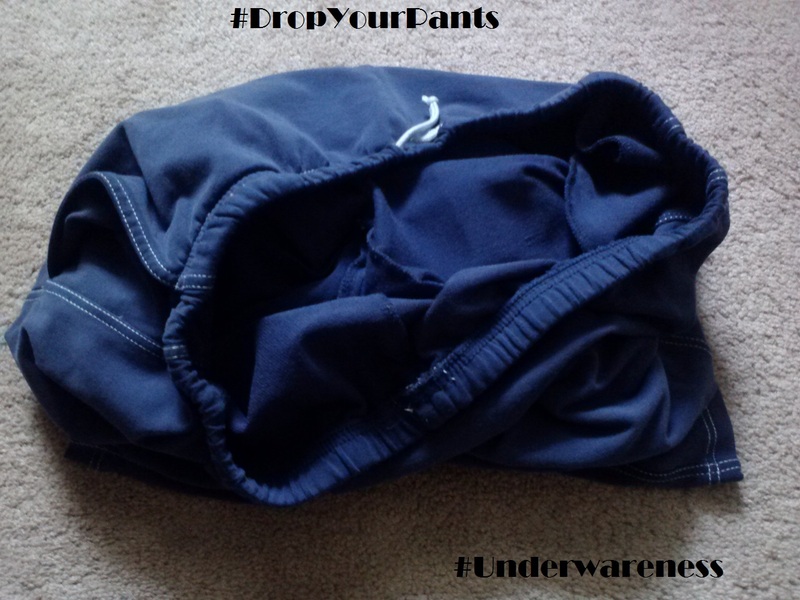 Think you are ready to #dropyourpants for #underwareness too? Visit the Underwareness site and join the #underwareness movement and help Depend reach their goal. Claim your free samples today by visiting the Depend page and clicking on the "Get a Sample" button located at the top right-hand side of the screen. Then, select which sample you would like to receive and wait for them to arrive. Be sure to share this with family and friends too. As the Depend #underwareness commercial points out, you can never tell who needs bladder leakage protection just by looking at them. Disclosure: Thank you to Depend for sponsoring today’s post about the #dropyourpants for #underwareness movement. All opinions and dropped pants are 100% my own.I am disclosing this in accordance with the Federal Trade Commission's 16 CFR, Part 255: "Guides Concerning the Use of Endorsements and Testimonials in Advertising. I'm glad this fun campaign is making the topic of bladder leakage a little less taboo! I love the message you conveyed to your loved one because that's exactly how I feel, there's nothing to be embarrassed about when it comes to common, normal things so many of us have to deal with, particularly after having children! I love that they are raising money for a good cause. The samples are great idea too for people that want to try them before buying them. I think this is such an important topic to raise awareness about. Those of us who have given birth know about this all too well. I am too. We all will have to walk down this road at some point! I love that Depend is giving free samples so that people can try before they buy. And if by giving a freebie, Depend gets people to donate to this worthy cause, so much the better. Yes! Most Moms do suffer from bladder leakage if not while pregnant, then later on. Depend is doing a great job lifting the taboo label off this topic. Both of my grandmothers dealt with bladder leakage as they got older, and they were so ashamed of it. It's sad. I hope that campaigns like this make it easier to talk about! It really is sad because we want to help them without dinging up their dignity. I love that this campaign is helping all of us become more aware and accepting.